Even in Ocean Beach, a Mecca for sun-lovers, you can feel the fall coming. Obecians jump right into the season – just the hint of crispness in the air, and suddenly everyone is wearing sweaters, making soup, and huddling around mugs of tea or coffee, looking for all the world like extras in Home Alone 5: The Beach Holiday. 1) Escape the bubble – I know it’s scary to cross Nimitz and venture into the shadowy world beyond OB, but I believe in you. San Diego is one of the largest and most diverse counties in the U.S.A., and an hour drive can take you to another world. 3) …On your way home from Lake Cuyamaca, swing through Julian to the north and pick up a homemade apple pie. If you prefer, you can pick your own apples and hightail it back to OB to make your own pie. The amazing thing about San Diego is, while your very autumnal apple pie bakes, you can go for a quick surf. 4) Apples aren’t the only fall produce available here in Southern California. Ride your bike to Peoples (wearing a sweater and knit cap, of course), and peruse the squashes, sweet potatoes, apples, and pumpkins. Then stop by the OB Library and pick up a cookbook for recipes like butternut squash soup, pumpkin bread, sweet potato pie, or any sort of soup (all soup, as a rule made up by me right now, is cozy food). 5) The air is undeniably crisp and fragrant, even by the river. Put on hat and scarf, grab a similarly garbed friend, and take a bike ride over the bridge and down the bike path. Head back to Ocean Beach at the right time and you’ll catch football practice in Robb Field, as well as one of Ocean Beach’s epic sunsets. 6) Your bike ride probably made you thirsty, huh? And a little chilly? Go back to People’s and pick up a jug of apple cider, a packet of mulling spices, and a piece of cheesecloth. Go home, pour the cider in a pot on the stove, and follow the directions on the mulling spice bag. Within minutes, your house will be filled to bursting with the smell of mulled apple cider, just like Norman Rockwell’s fictional Vermonter grandmother used to make. Drink the cider, and I can almost guarantee that you will feel jolly, even if you are a curmudgeonly winter-hater. 7) Go to any restaurant in OB that has both a full bar and an espresso machine. Scout these places out, I know they exist, but finding them is half the fun. 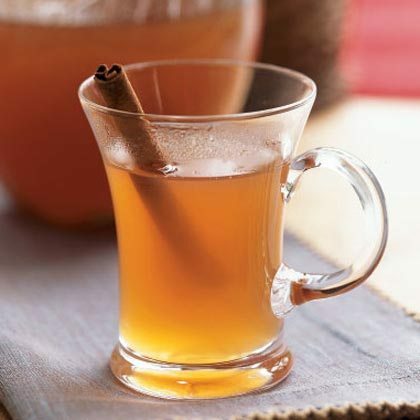 Hassle the bartender (in a nice way), and get him/her to make you a hot toddy – whiskey, honey, lemon and, if you are lucky, some clove or cinnamon spice, all mixed up and served piping hot. Then tip the bartender kindly, wrap both hands around your mug, and sip away. Other good fall bar drinks? Hard cider, red wine, Oktoberfest beers, porters (or other dark, meaty beers), and whiskey any way. 8) Last but most assuredly not least, buy a ticket to the OB Restaurant Walk in November. Bundle up with scarves and boots, and ride around OB on a trolley with your friends and a bevy of happy strangers/neighbors, stopping at restaurants for free snacks and criminally low priced drinks. A great way to sample all the food in OB, get to know your neighbors, and end the night with rosy cheeks and a festive mood. These are just a few ideas for making an OB fall a cozy one. Not into seasonal shifts? Well then feel free to disregard all you just read, change out your board shorts and rash guard for a wetsuit, and continue to pretend that it’s just a slightly chilly summer day. That’s your prerogative. But I’ll be at home, drinking mulled cider and baking pie with fresh-picked apples – just keeping it cozy. this is way too cuddly for me. in the fall i switch from beer to whiskey, from freedom fries to baked potatoes and from the beach boys to marie and donny on my eight track. have you put your snow tires on yet? Where can I learn more about the restaurant walk? can’t agree more with heading east to the cuyamaca area. utterly refreshing to go out there and experience the beauty of the natural surroundings. it’s also a philosophical experience in that there is still evidence of american indians and their grinding bowls (basin metates or Cuyamaca ovals) carved into huge stones and boulders under old trees that once provided shade to the indians as they ground their grain. amongst other things, you can also visit the old gold mines that seeded the small towns of the area. very cool and an excellent place to get away. What? Leave OB? Madness I say! May I suggest doubling up on your whiskey intake and keeping the little lady in bed (wink wink nudge nudge) until spring? You can also start a beanie collection, or decorate your alley way with crisp, fall colors! If I can find Danny we are so decorating OB for the fall season. I smell a new wardrobe! Shawn, That wasn’t a new wardrobe you smelled! It was Doug and his band of merry pranksters making good on their promise. b/t/w/-what’s a beanie? Haha I know I know, it’s very cutesy, I can’t help it. Cozy is my religion – I came out of the womb drinking hot cocoa. For Restaurant Walk info call or stop by the Mainstreet Association office. It’s really fun! It is those little “winter” caps that all the cool kids wear. Like a tight-fitting tossle cap without the tossle brandished with a Volcom logo (or some cool logo) on it. I thoroughly enjoyed reading your story, Mary. It felt like I was right there with you envisioning all the lovely spledor you described. 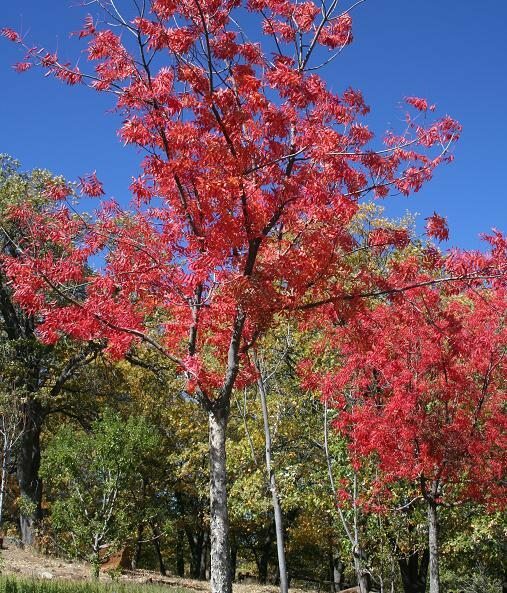 A wonderful way to start anew this fall season. Newer Article: Reader Rant: OB’s Oktoberfest? Bah humbug!